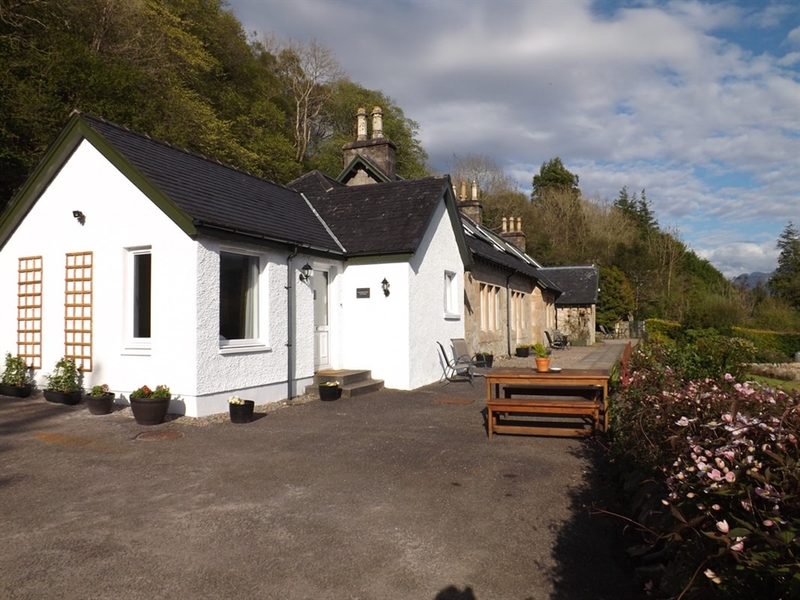 Schoolhouse Cottage is a comfortable self catering cottage in Onich, close to Glencoe, with beautiful mountain and loch views. 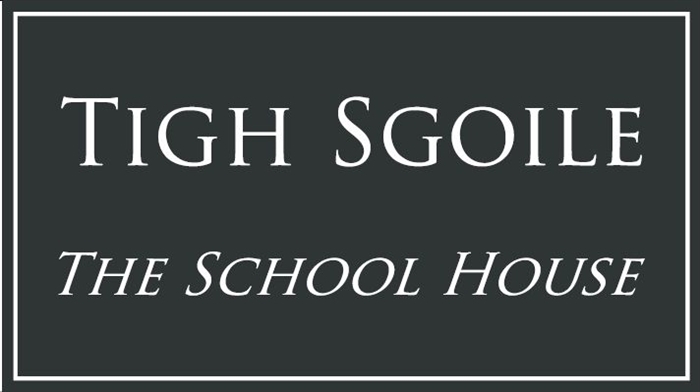 Schoolhouse Cottage offersThe flexibility of a whole cottage, but for short stays if that suits you best. 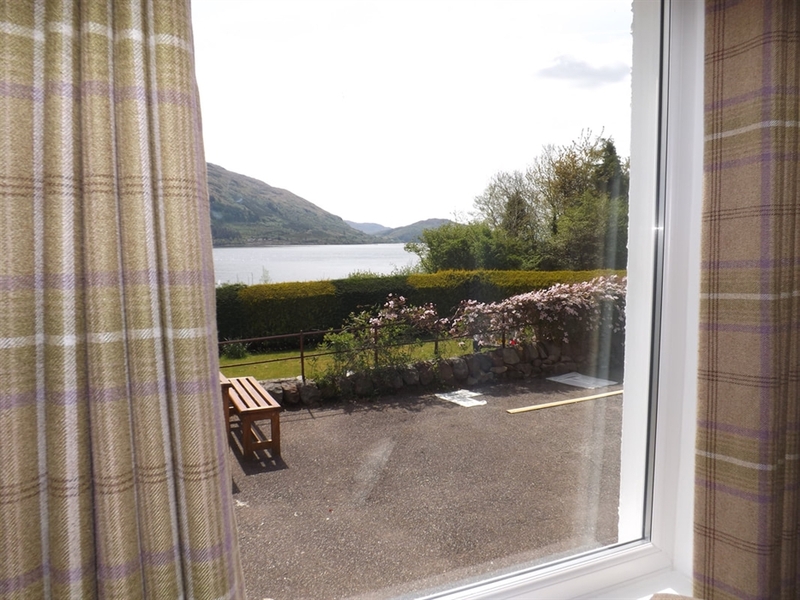 The cottage has gorgeous views and brilliantly located for exploring the highlands. Contact Chris & Sarah or book instantly via Airbnb. 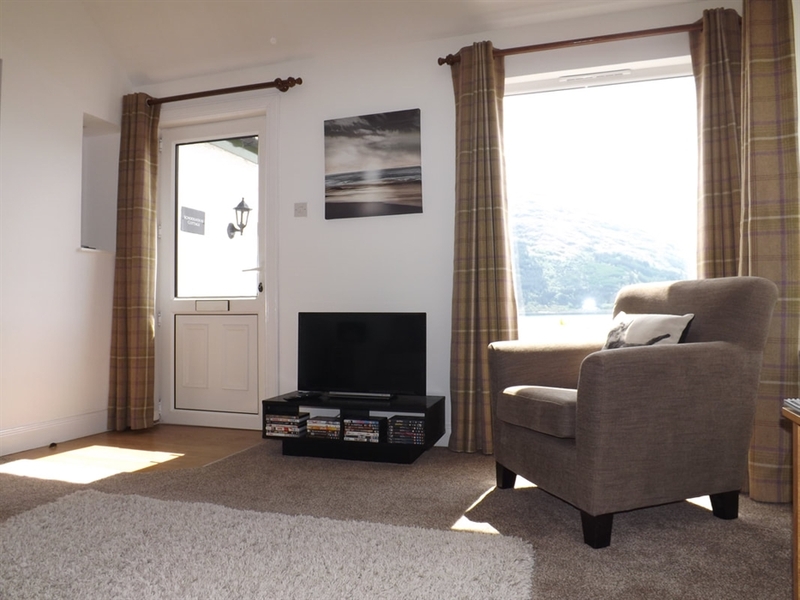 The cottage is light, bright and warm with views of Loch Linnhe, Glencoe and the mountains beyond. 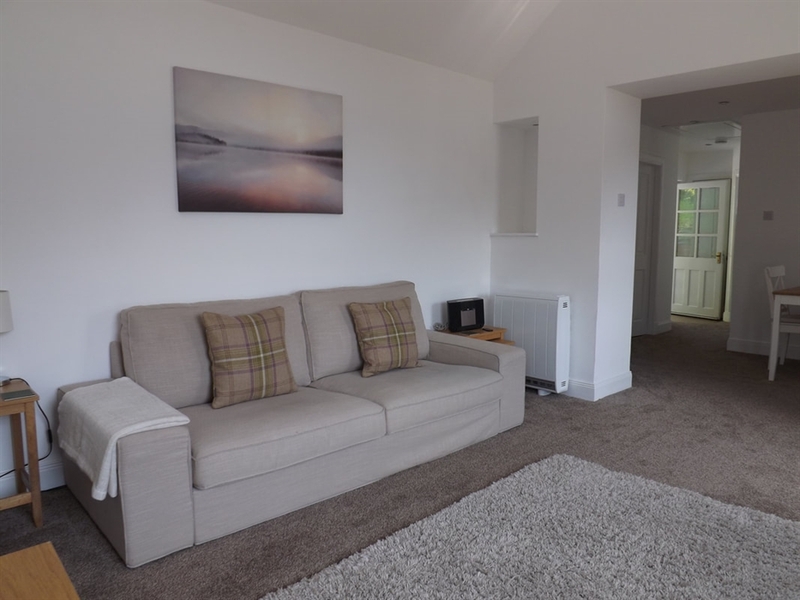 The spacious living room has a vaulted ceiling and leads on to an open plan kitchen and dining area. The bedroom has a king-size bed with a memory foam mattress and fitted wardrobes. There is also the option of a fold-down single bed in the living room. The whole cottage is decorated in restful, neutral colours. Surrounding the cottage are beautiful gardens with an outdoor seating area. Across the road, a path leads on to a secluded beach where you can enjoy the views and dip your toes in the crystal-clear water. 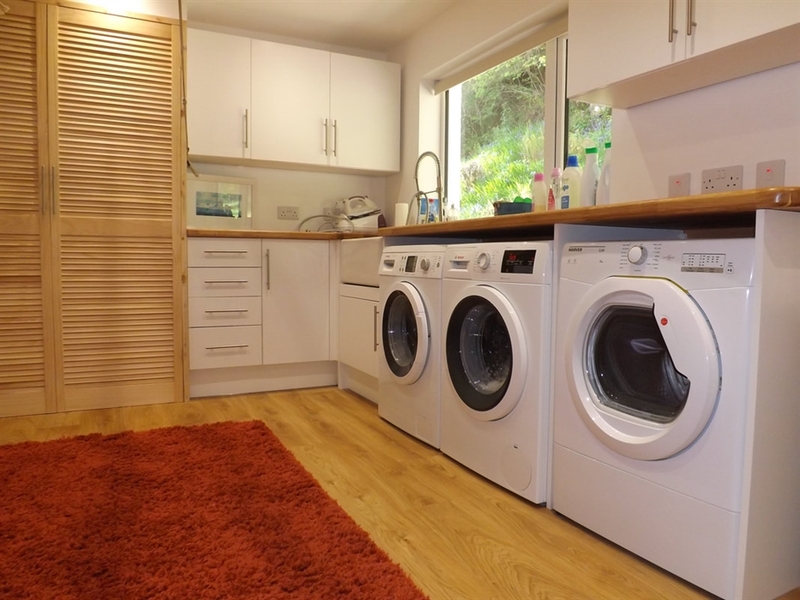 Free Wi-Fi is provided, along with a TV/DVD player, a bluetooth music system, and a fully equipped kitchen and washing machine. 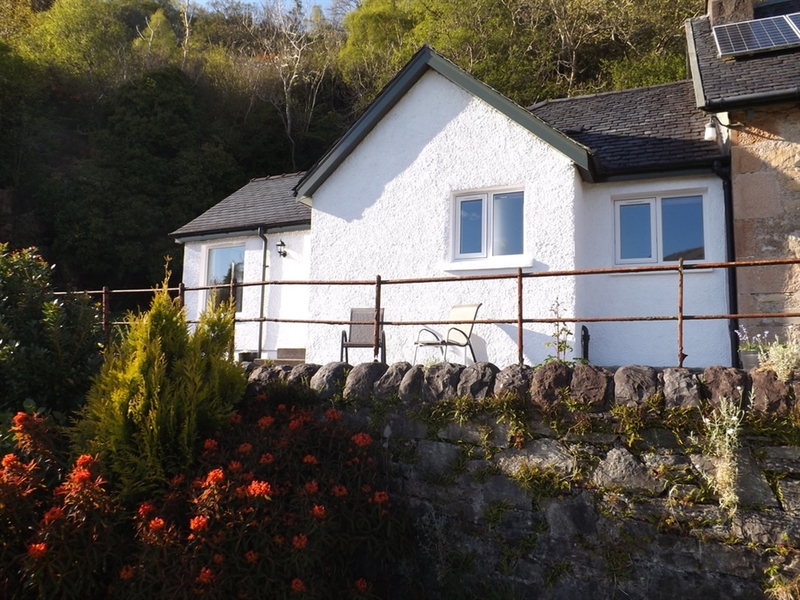 Available on a three-night minimum stay, the cottage offers flexible accommodation for up to three people. We can provide a cot and high chair for wee ones. One dog is welcome by prior arrangement at no additional charge. The cottage is exclusively yours for the duration of your stay and has its own front and back doors, ensuring private access. Guests can reach the shingle beach by crossing the road. 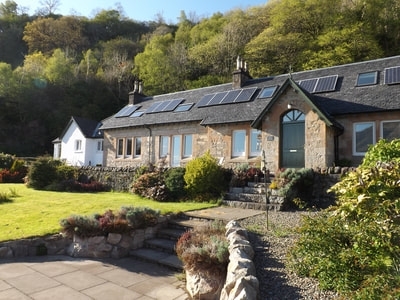 Chris and Sarah are the owners of the cottage and live next door in "Tigh Sgoile", which is Gaelic for "School House" and was the former village school. Living next door means that we are on hand in case you have any queries. We would also be delighted to give you recommendations about places to visit and local pubs and walks. 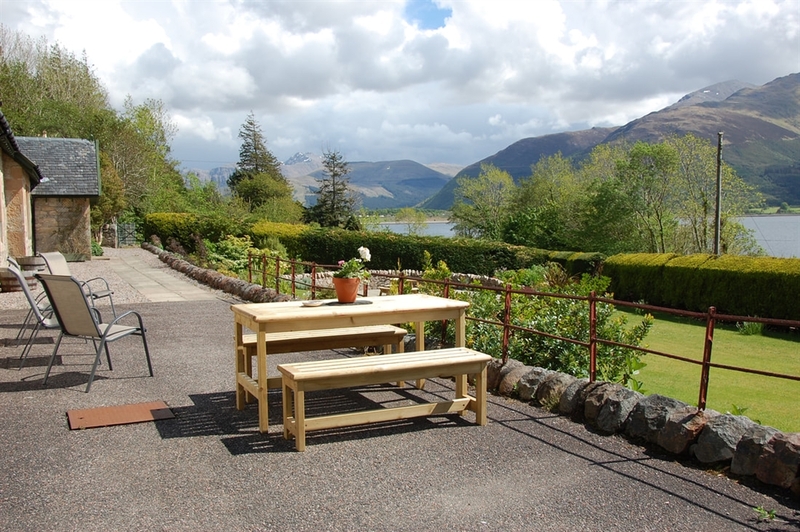 There are many nice places to eat nearby including the Loch Leven Hotel, the Onich Hotel and the Laroch restaurant and bar in Ballachulish. For seafood, you could try the Loch Leven Seafood Café. As the Outdoor Capital of the UK, the region of Lochaber is fantastic for all kinds of outdoor activities including hiking, sailing, skiing, ice-climbing and cycling. The ski resorts of Glencoe and the Nevis ranges are about 25 minutes' drive away and are open all year round for skiers and hikers. Boat trips to visit the islands and spot wildlife depart from Loch Leven and Loch Linnhe. 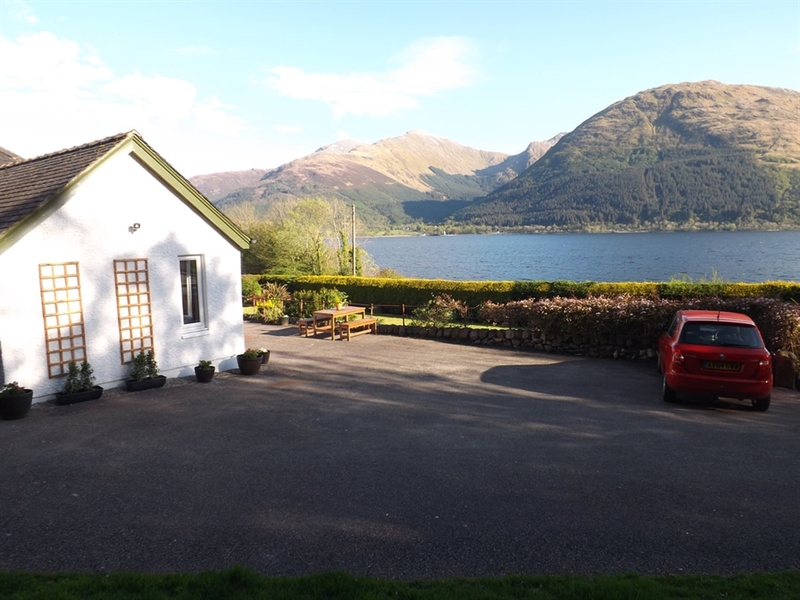 A thirty mile radius from the cottage takes in Ben Nevis, the mountains of Glencoe, the world's largest indoor ice-climbing wall, the Seal Sanctuary near Oban, Glenfinnan where Bonnie Prince Charlie gathered the clans in 1745 and the famous Harry Potter viaduct .... to name but a few. 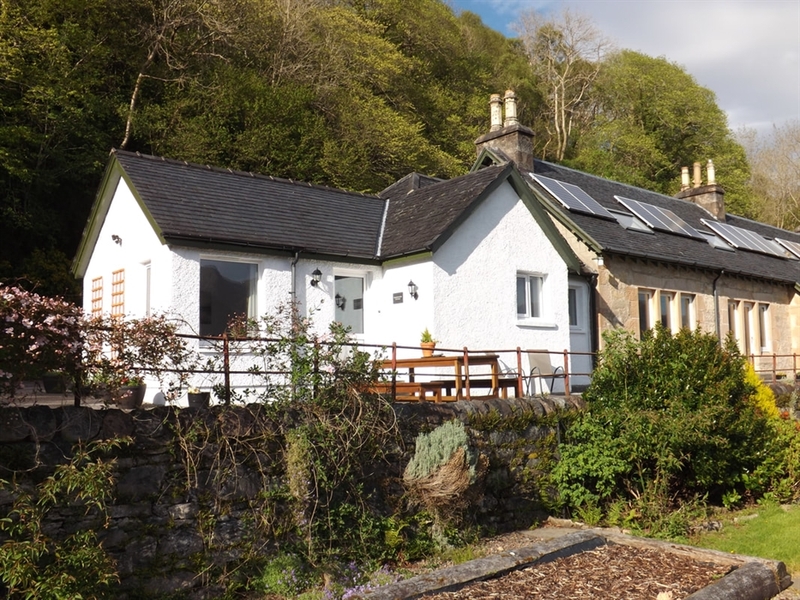 School House cottage is on the bus routes from Fort William to Glasgow and Oban. It is also on the Oban to Fort William cycle path. Access is very easy and there is ample car parking.